• Developing the risk-based audit plan process by performing assessment of Inherent risk and evaluation of control environment. • Leading the Internal audit team in providing continuous assessment of key risks and controls within business processes. 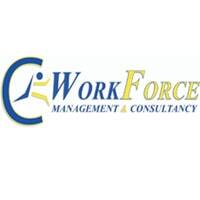 • Supervise the Internal Audit team in conducting execution of the risk based audits. • Reviewing and approving Audit reports detailing audit findings, management comments and agreed management actions to remediate control weaknesses/gaps identified. • Coordinate and supervise follow up on closure of reported audit findings by to ensure timely implementation of the agreed action and assess effectives of controls implemented. • Leading continuous Business Monitoring activities to identify current and emerging risks and relevant management mitigating controls. • Build and maintain effective working relationships with business stakeholders in country and Internal Audit team . • Preparation of reports for the Board Audit Committees meetings and regulatory submissions. • Provide feedback of Internal Audit Activities and other assurance on the effectiveness of the control environment to the Board Audit Committee. Applications: Send your CV to; [email protected] Deadline: 8th November 2018.